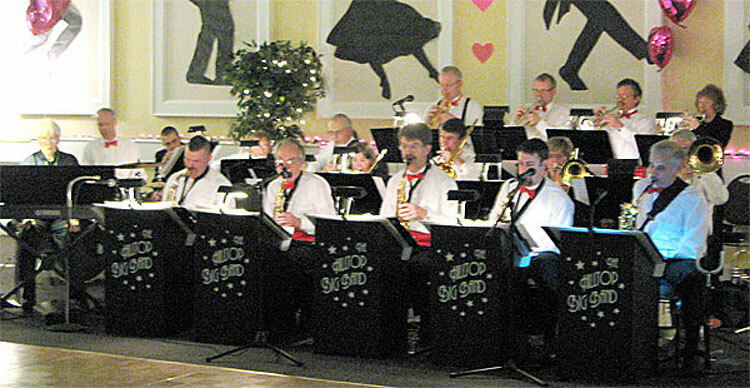 The Hilltop Big Band has been performing in and around Corvallis, Oregon since 1988. We perform a wide variety of big band arrangements, from the timeless classics of Count Basie, Duke Ellington, Glenn Miller, Stan Kenton and Woody Herman to the more modern arrangements of Stevie Wonder, The Mingus Big Band, Gordon Goodwin’s Big Phat Band, Lee Morgan, Brian Setzer and The Average White Band. We rehearse throughout the year every Wednesday night from 7:30 to 9:30pm. Auditions are held for substitutes or replacements when needed.